Your dog or cat deserves the finest and most comfortable place to rest, but perhaps you’d also like them to lounge about in a piece of pet furniture that classes up your room. 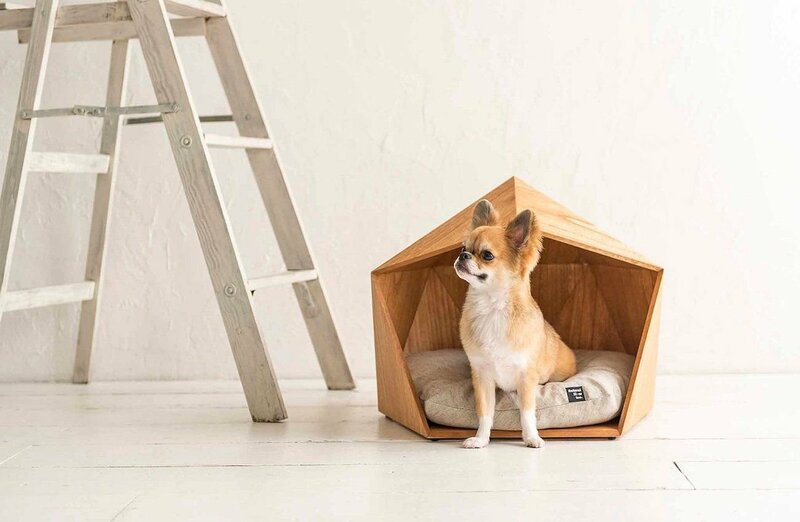 Natural Slow’s Kamakura Pet House offers a relaxing place for your furry friend, alongside a simple but elegant design that will look great in your home. Made from Japanese paulownia wood, this pet house is included by traditional kamakura huts that are made out of snow in northern areas of Japan. Featuring 13 perfectly balanced wooden plates, this natural-looking and geometrically shaped pet house will regulate humidity to stay cool in the summer and warm come the winter, and is also lightweight enough to move around easily. Made in Japan, the Kamakura Pet House will be a welcome addition to your home for both animals and humans alike.